He is NOT a Lab. Take that back. I’ve posted a number of online dating tips up for the guys. Here is one for the ladies — “On a first date tone down the crazy.” I realize that isn’t specific enough to really help you or those wacky single ladies in your life but it is hard to be more specific. After all we each have our own level (some are mighty high) and tone of crazy. Mine is easy to diagnose. If I want a higher probability of seeing a second date I have to lay off the Riggins talk. This is MUCH harder than it sounds. After all I adore him more than any other living creature on this planet. He also takes up about 80%-90% of the pictures on my iPhone. It’s hard to get around it. I’m a bit dog crazy (admitting it is the first step). If I had my way it’s ALL I’d talk about on a date. And frankly I don’t want to hear my dates wacky pet stories (especially if they involve cats). I want to do all the talking and I want it to be all Riggins. See … that is “crazy”. During a first date I have to consciously NOT bring up the dog every 30 seconds. Here is what is brilliant about this. Inevitably there will be a date I’m on that within a few minutes I’ve made the decision I NEVER want to see this person again. So I take all that stored up crazy from other times and LET IT LOOSE! 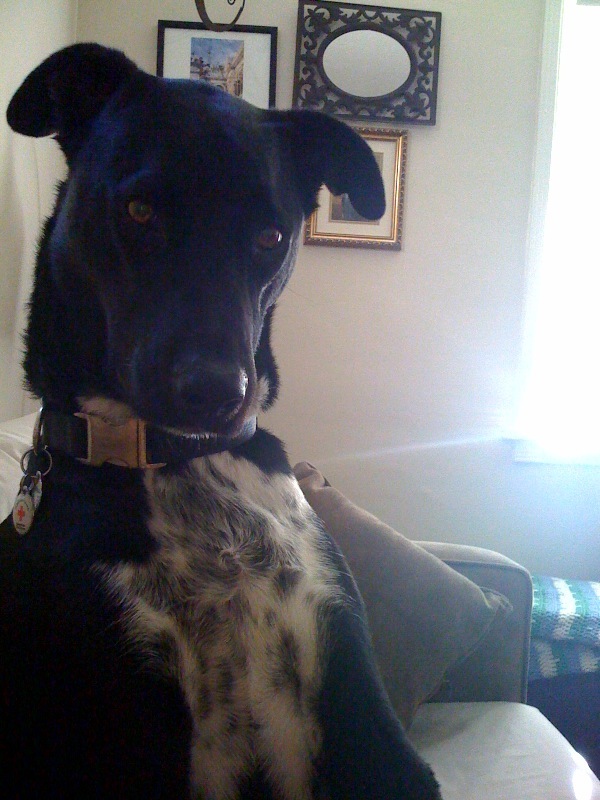 You know a date with me is going south when I make you look at approximately 20 pictures of Riggins on my iPhone, fight (which has to includes screaming) that he is NOT a lab and demand you take it back, only talk about things I do with Riggins and talk about my plans to open dog friendly bars and gyms so I never have to be without him. So although I hide crazy (aka my real self) I occasionally get to have it come out to play! you are super crazy for sure! You are crazy…and that's why we LOVE you! And Riggins! I knew that about you. The weird part is that before Riggins you thought people who let their dog lick them were disturbed. Your mom!